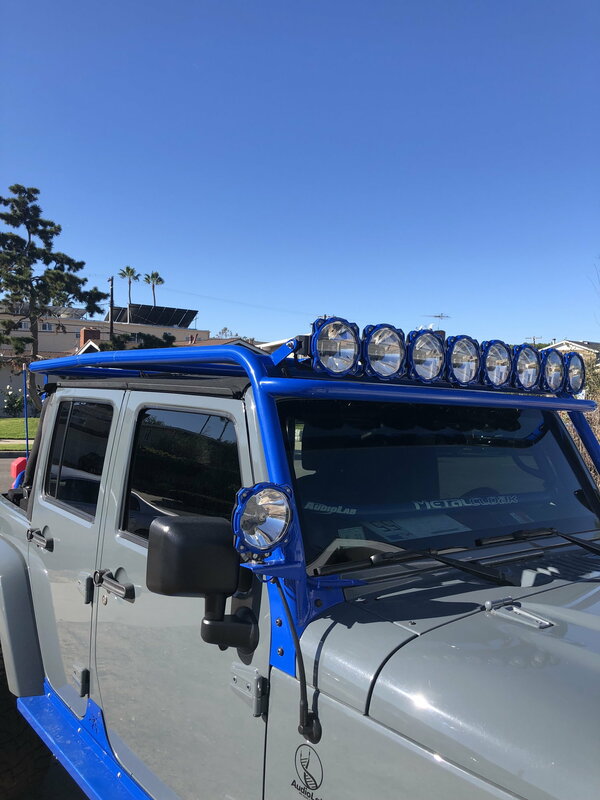 Custom rack for JKU. You haul and you install. 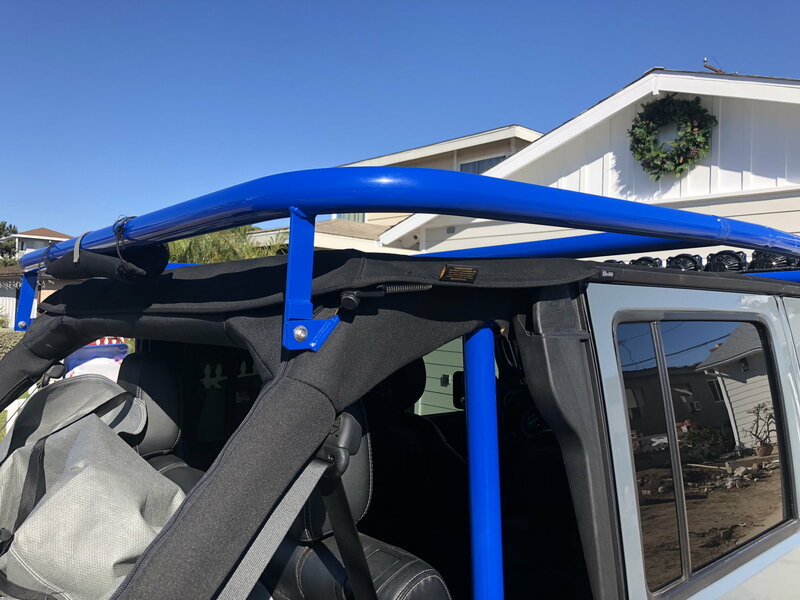 For hardtop rack you must drill into the hardtop. 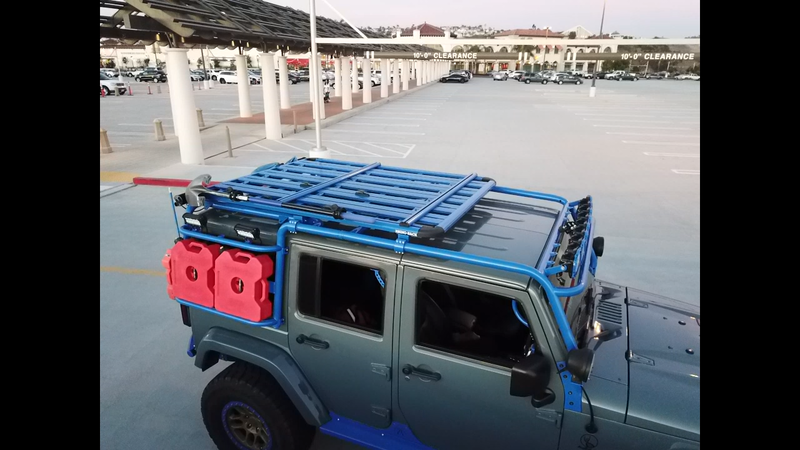 Cool roof rack! It looks like the rack just barely clears the roof on either side allowing the roof opening to clear, is that right? It looks like exactly what i was looking for, would have been perfect with my cargo top / conversion work. I actually started buying supplies last week to build myself something similar before Spring. I was just in LA 2 weeks ago and if I wasn't on the other coast now I'd be getting this from you. PM me if a strategic cut up and ship is an option on my dime plus some cost for time and effort: I can bung and weld back together, and this would save me a lot of work and time. For anyone who sees this, I messaged John who replied that the rack has been sold.